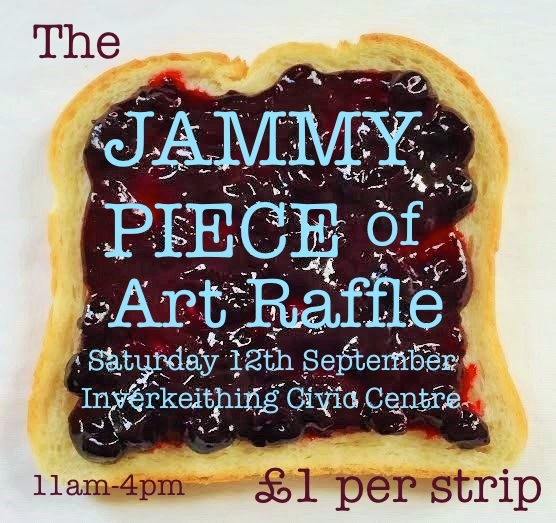 Just as with our previous two Art & Craft Markets, a major feature of the day on 12th September at the ART:JAM will the fantabulous Art Raffle. The chance to win a handmade piece of art or craft for a mere £1 for a strip of 5 tickets. Jammy! Annsdoodles, The Alchemist’s Forge, Tubular, Karen Trotter, Filo di Lana, Seacycle, Earthen Images, Tom Bishop-de-Main, Lainy Allison, Serenity, Tartan Hearts, Yellowboots, Barbary Wood, Boxoftrix, Elaine Bews, Norman Bews, Bigbyrd Designs, Maria Hickman.